Gao Hong, Chinese pipa player and composer 高虹，琵琶演奏家／作曲家 is at 中国国家图书馆 National Library of China. It’s my great honor to perform with guqin master and Prof. Zhao Jiazhen （赵家珍）percussion master Li Congnong （李聪农）and rising star guqin player Li Lingchen （李令晨）“Guqin Meets Pipa“- 当《广陵散》遇上《霸王卸甲》 at the Beijing National Library Arts Center Concert Hall on July 10th. 2 days 10 hours ago. 衷心感謝中國民族音樂國際網做的精美專訪。最後給Gus Holley的問與答非常精彩。我想他對中國音樂的熱愛是他為什麼能在兩年的時間就把琵琶彈得如此像樣。文章中有音樂視頻😊 2 weeks 2 days ago. With millions of CDs on Amazon, I am very happy to see that today’s Far East and Asia section put four CDs as Amazon’s recommendations. Our “Chinese Buddhist Temple Music” by Bao Jian, Hu Jianbing and Gao Hong is a top recommendation and also a Best Seller 😊👏🙏 Thanks to the ARC Music label and Diz Heller in the UK 🇬🇧 for re-releasing this beautiful CD🙏🙏🙏 2 weeks 5 days ago. With millions of CDs on Amazon, I am very happy to see that today’s Far East and Asia section put four CDs as Amazon’s recommendations. Our “Chinese Buddhist Temple Music” by Bao Jian, Hu Jianbing and Gao Hong is a top recommendation and also a Best Seller 😊👏🙏 Thanks to the ARC Music label and Diz Heller in the UK 🇬🇧 for re-releasing this beautiful CD🙏🙏🙏 Music Link: https://m.youtube.com/watch?v=_xXOx0F2wO0 2 weeks 5 days ago. Gao Hong, Chinese pipa player and composer 高虹，琵琶演奏家／作曲家 shared a link. 2 months 6 days ago. Gao Hong is an acknowledged virtuoso of the Chinese pipa (pear-shaped lute), touring the world playing major works by Tan Dun, Zhou Long and others. But she is also a composer of distinction, elegantly weaving international styles into a tangy new cosmopolitan chamber music. In addition to her captivatingly energetic playing, “Quiet Forest, Flowing Stream” – her first album devoted to her own compositions – features an all-star cast of international musicians from India, Japan, and the U.S. It’s a rich and profound journey that explores several autobiographical elements; from the death of friends to the joy of her own daughter’s triumph over leukemia. 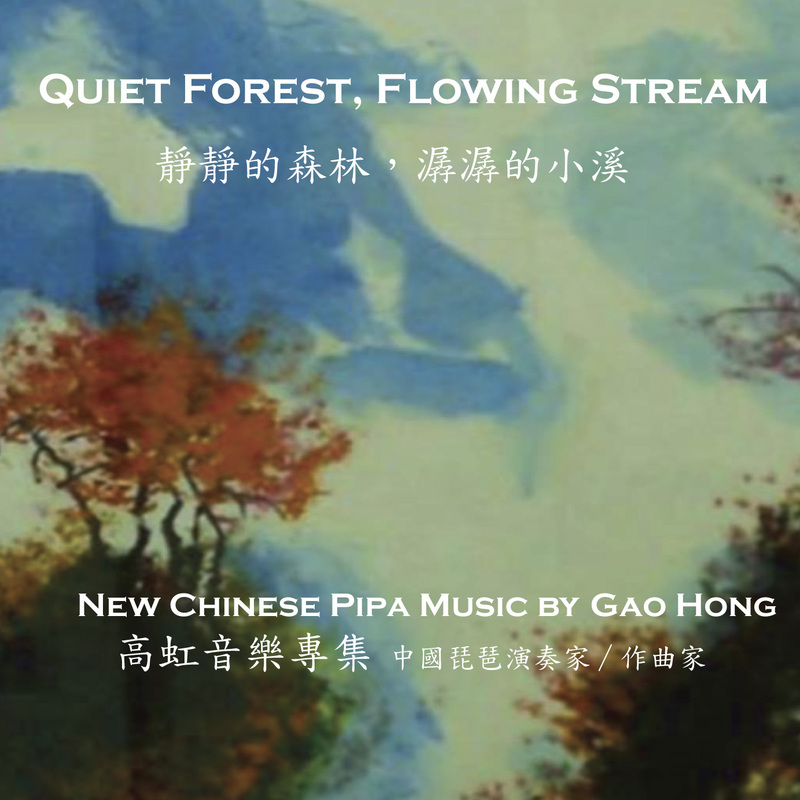 The title track blends Chinese and Indian flavors in the form of a pipa-sitar duet where Gao Hong and superstar Shubhendra Rao playfully depict the healing powers of forests and streams. The hauntingly tender voice of Nirmala Rajasekar introduces “Butterfly”, dedicated to those who have brought beauty into our lives but left too soon. Gao Hong’s passion for preserving her beloved Pudong style of pipa playing is marked by the world premiere recording of the comical “Mother-in-Law Arguing with Daughter-in-Law”, a piece lost for over a century that was recently reconstructed by Gao Hong’s mentor - the late pipa master, Lin Shicheng - and passed on to Gao Hong during her travels to Hong Kong and Beijing. Gao Hong’s young daughter provided the inspiration for “Courage” thanks to her incredible will to live while undergoing (successful) treatment for leukemia over more than two years. In a similar tale of overcoming, Gao Hong’s own tale of emergence from the Cultural Revolution into a globe-trotting citizen is told in “Flying Dragon Concerto”. The final track, “Celebration”, unites all the artists (along with taiko hero Kenny Endo) in a festive romp of polyglot vocal percussion; a suitable way to mark the various life journeys and reflect on 35 years of travel shared closely with a beloved instrument. Quiet Forest, Flowing Stream is quite an achievement. Ms. Hong plays with a real virtuoso's mastery. He has for this album created six quite varied musical contexts. He can be found playing a fascinating Chinese-Indian hybrid, a contemporary-improvisation-meets-Chinese-meets-Japanese-Taiko-drumming piece, in a quasi-Western-classical mode, and in a solo context where the pipa tradition is invoked with sensitivity and musical bravura. I've certainly never heard anything like this one before. What's most impressive is not so much that he attempts these unusual and unprecedented stylistic szygys. It's that the resulting music wholly succeeds; so much so that it even sounds like a natural and inevitable thing that's been happening for centuries, which of course it has not. If you want to branch off onto a quite different musical path, listen to this one. It's rather incredible really.